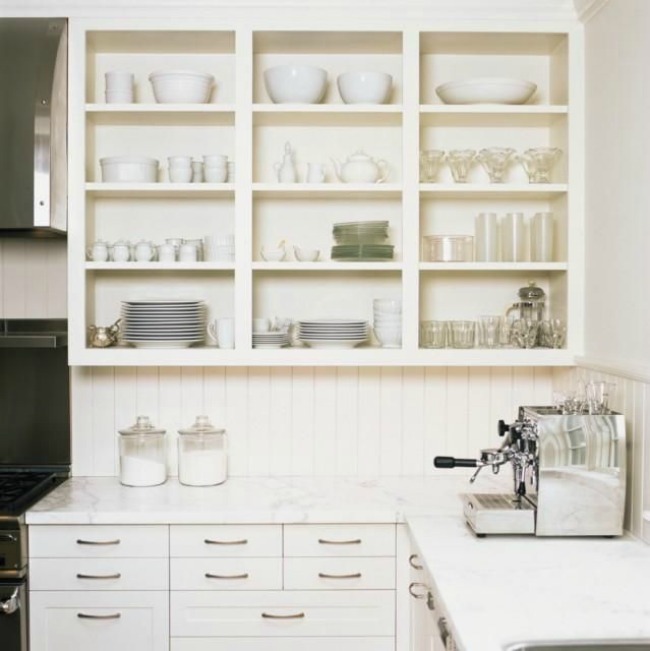 slightly brass pulls, white and gray marble, open shelving, white dishes, bead board. i imagine this kitchen belongs to a sophisticated yet simple living kind of gal. she likes to see her things so she knows right where they are. she loves quality and cleanliness. don't you think? 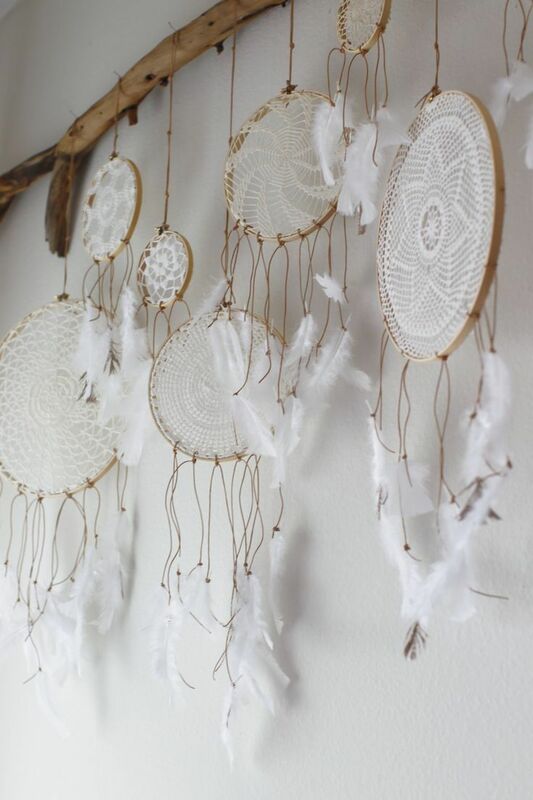 ever since i was a little girl i've had dream catchers around to keep out the nightmares. i used to have some horrid ones when i was younger. these white ones hung on a branch would make a perfect headboard. it's one of my favorite things i've found on pinterest in awhile. white and wood. can you tell i just can't get enough? it pleases my rustic side and my feminine and girl side. all that light coming in the back window? it was made for daydreams. show off your products. 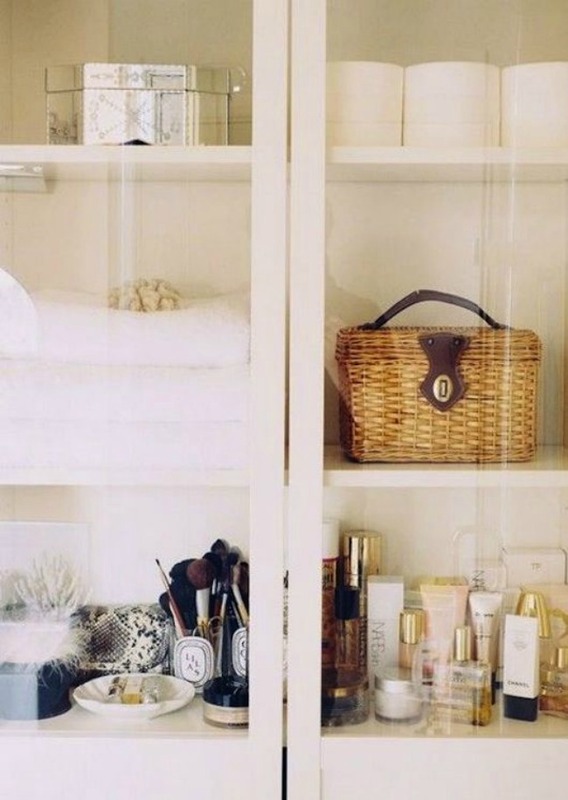 white shelving with glass doors. i love the look of this, but i'm not sure i could handle looking at all the products. what do you think? would you keep your bathroom cabinets looking like this? for me, i like them behind closed doors. this room isn't sure what style it wants to be, and i'm okay with that. 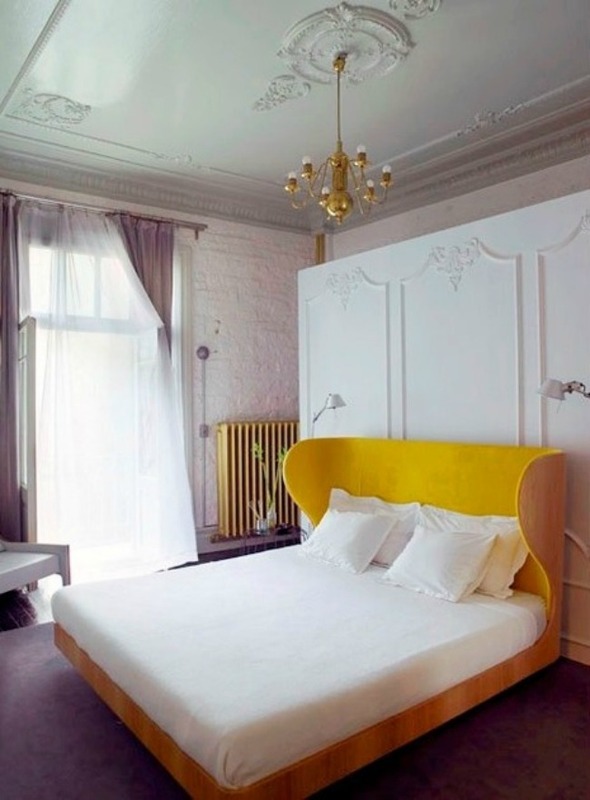 the very industrial painted brick, the very traditional ceiling trim and chandelier, and the very modern bed and headboard. it looks like the best mish-mosh, happy accident ever. combining a few of my favorite things in this space. white, wood, windows, open shelving. 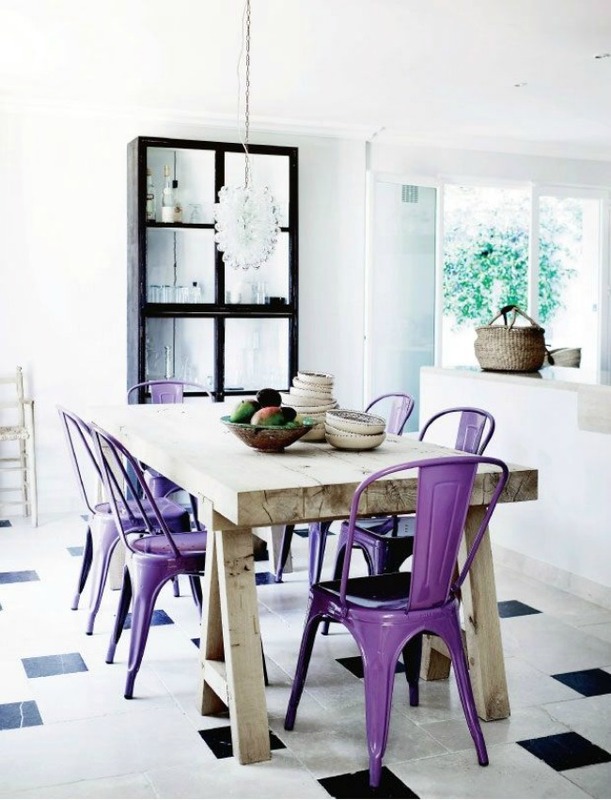 and then that bright burst of purple on the chairs. 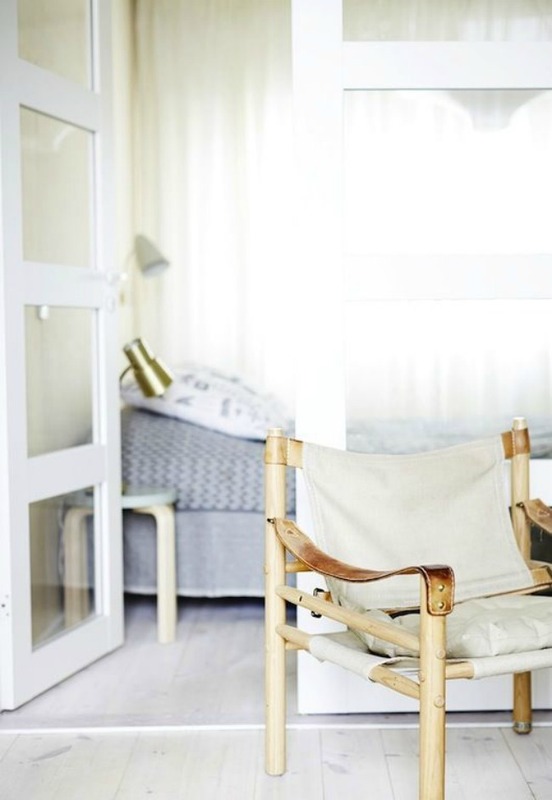 this room is for those that love the look of refreshing white, but can't give up their color. so so stylish. 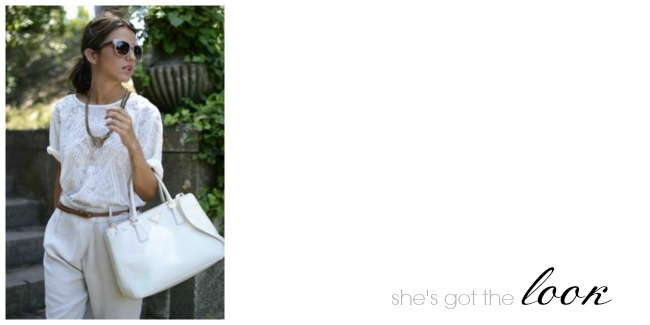 all white with that touch of natural material around her neck and her waist.